On Friday a new team was formed. The North Somerset fundraising team for The Wedding Wishing Well Foundation. This incredible charity, based in Taunton, makes dreams come true. They organise and fund wonderful weddings for terminally ill brides and grooms, working with heartbreaking stories and often under critical time constraints. Time is precious, to all of us. But for some couples, time may be running out. I have wanted to use my blog for a greater good and now I know how. Welcome to Wonderful Wedding Wednesday! Every week I will bring you a beautiful couple, on the most magical day of their lives. How lucky to have friends, who have had such lovely weddings! All that I ask, is if you enjoy the post, please take a minute to donate just £1 to The Wedding Wishing Well Foundation. This happy couple met in the summer of 2006 when they were working together on Vanessa Feltz's chat show. Melanie was his assistant producer and he was the producer so technically he was her boss! A quiet romance blossomed and they had their first proper date the day after filming finished. That was seven years ago! Adam proposed in December 2011, in New York. He surprised Melanie on the balcony of the hotel on their first night, and Melanie was so jet lagged, out of it and a little bit drunk (her words!) that it took her a couple of minutes to figure out what was going on! He had planned it all and asked her dad's for permission before they left. 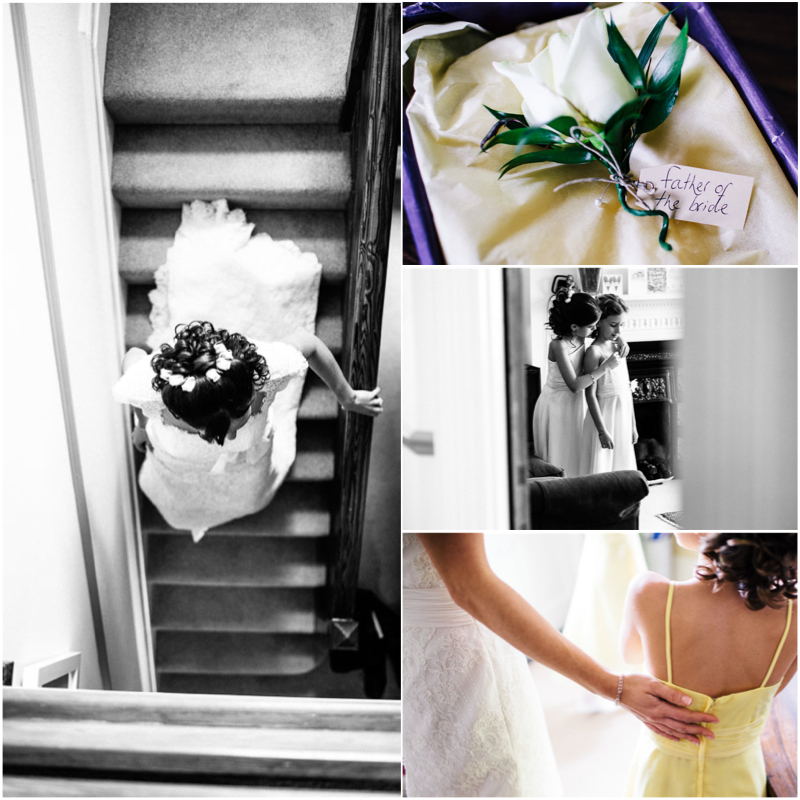 They married in Surrey in front of 80 guests, near where Melanie grew up, and chose the church and the barn venue, simply because they fell in love with them. Melanie's nieces Freya and Sophia did a wonderful job as bridesmaids and the sun shone brightly over the happy couple. A huge thank you to Steve Fuller, their photographer, for letting me share his beautiful images. Melanie said of their dream day "It was all totally amazing and everything we both dreamed it would be. If I had to pick something that was most special, I would say it was being surrounded by all our close friends and family - it was amazing to share our day with everyone we love." Melanie now works in PR for the film industry and Adam is the Events Producer at Masterchef. Mr and Mrs Webb currently live in Tulse Hill/Brixton, but are planning to move slightly outside of London this year. Wishing them a happy house hunt! Make another couple as happy as this one, by pledging just £1. Like all wonderful weddings, the special days The Wedding Wishing Well Foundation organises and funds, run into the thousands, so every penny or pound counts. Don't come back to this later, just click and donate your £1, it can be your good deed of the day! There are lots of ways to be involved, please take a minute to check out the fundraising page on The Wedding Wishing Well Foundation website. You can also like them on Facebook and follow on Twitter too for the latest news. Next week we are off to the Amalfi Coast for Clare and John's spectacular wedding!